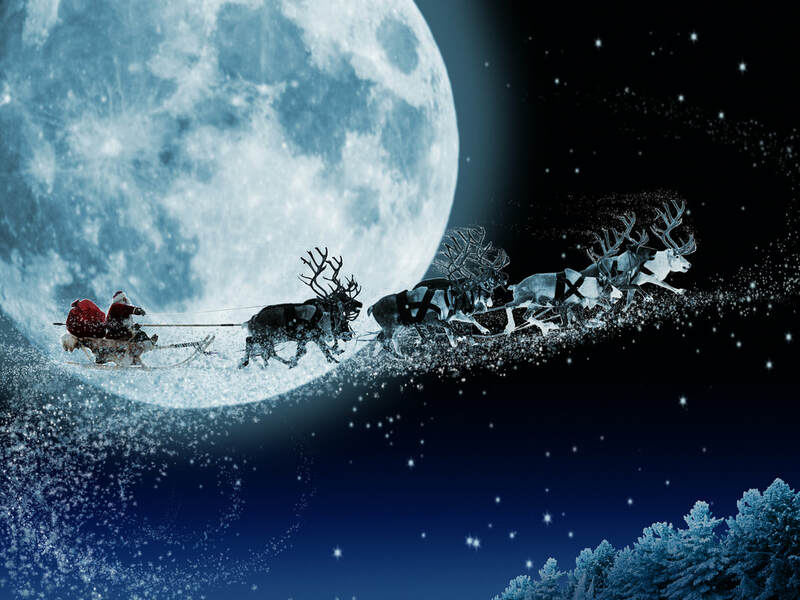 In this advert, we see Father Christmas flying around Britain delivering his presents. However, every house he enters has forgotten to leave carrots out for his reindeer. We see the big guy eating plenty of mince pies though which compounds the problem for his reindeer. 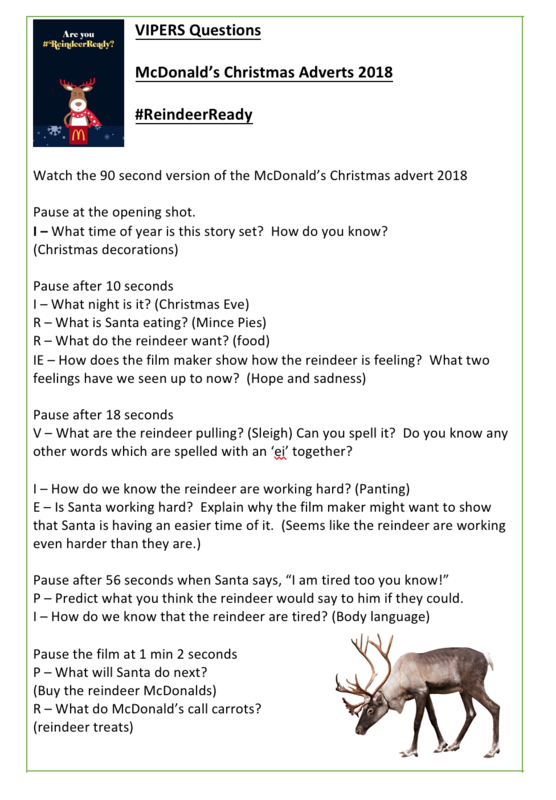 Literacy Shed were unsure at first whether to use an advert for a fast food chain - but we do think it is a great story offering numerous writing opportunities. Discussions can be had about whether fast food can ever be part of a healthy, balanced diet. Interview with Santa or his Reindeer - Children can answer questions in role. These answers may be used in the newspaper report. Apps such as Chatterpix, Morfo or Puppet Pals may be used to record these interviews. Grammar focus on punctuation of reported speech - also useful in the news report. Persuasive Advert - Campaign to raise awareness that reindeers need treats left out for them too. Recount - Through the eyes of Santa or one of his reindeer. Describe how they felt as they went on their arduous journey. Instructions - How to prepare your home on Christmas Eve. Firstly, put on your best pyjamas. Secondly, hang your stocking by the fire. Then place a mince pie and a drink for Santa by the fire.... etc. Dialogue - Write the dialogue between the reindeer. What do they say when they are left on the roof and Santa is inside the house? Instructions/Recipes - Create recipes for meals that Reindeers would enjoy! Need to include carrots of course! More detailed planning will be added to www.literacyshedplus.com next week.